Before we get to how the Wallabee got a Ghostface Killah record named after it (Wallabee Champ ‘2008’), here’s a bit of history about the shoe. In the early 60’s a German company by the name of Sioux marketed and sold a moccasin styled shoe called the Grasshopper. Clarks managed to get a license for the shoe in 1970 and began to produce the shoe at an Irish shoe factory called Padmore & Barnes that they had acquired three years prior. The shoe didn’t do too well in England but was exported all over the world and became an iconic Clarks shoe along with the Desert Boot, the Desert Trek and the Rambler. Crepe soles are super sticky and soft out of the box and are quite pliable, thus very comfortable. These also make the shoe completely natural and sustainable. In 1987 Clarks decided to sell off the factory and move Wallabee production to China as the low output of the factory could not satiate the growing demand for Clarks footwear. However to the lament of many Clarks fans, the Chinese made Wallabees were, and still are , stiffer, boxier, flimsier, and generally less well-made than their Padmore & Barnes predecessors. Padmore & Barnes continued to operate on their own, even landing a Supreme collaboration in 2001. Ultimately, they were unable to survive and shut down in 2003 before reemerging in 2012 with a webshop that continues to sell the original ‘Made in Ireland’ P204. Sioux also retails the original Grasshopper to this day. Footpatrol x Padmore & Barnes 2016. Homage to home Wallabees anyone? Quality on these is pretty good for the price. No complaints from me. Come 1993, Clarks was an aging and dying company on the verge of bankruptcy. But they held out on a 160 million dollar bid from Berisford International, did a lot of corporate restructuring, made some smart business decisions and became more of a consumer focused company to bring themselves out of the red. At the same time, across the Atlantic, the Wu-Tang Clan rose to critical acclaim and Wallabees achieved cult rap status, being featured on their feet and in their songs. Why would they would choose a shoe so far removed from any sneaker, which is the usual hip hop staple, to represent? The answer lies in the Wallabee’s popularity in Jamaica, where it had become a staple in every rudeboy’s wardrobe and had stayed that way through the Reggae and Dancehall era. Many folks immigrated from Jamaica to New York in the late 70’s and this led to the Wallabees influencing the wardrobe of the then-young subculture of hip-hop. Which brings us back to the Wu-Tang Clan who went as far as doing their own version of the Wallabee under the doomed Wu Wear line. Dennis Alcapone – Guns Don’t Argue 1971. Wallabees mon. Another one of my favorite rappers, MF Doom, was bestowed with his own version of the Wallabee in 2014 rendered in a soft grain brown leather upper with a suede collar. The inner lining featured a cream repeat pattern graphic of Doom’s metal mask and the insole was embossed with Doom’s signature. The MF Doom mask is also embossed on the back heel and the toe-box stitching and laces were reflective 3M. 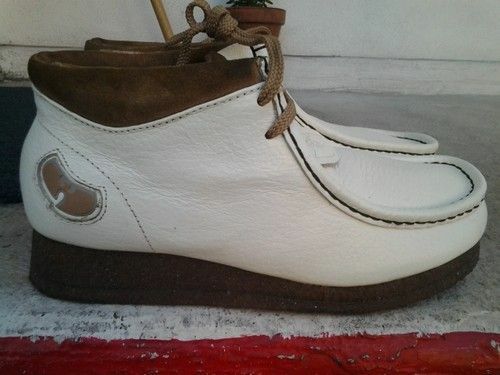 Wu-Tang should’ve just gone to Clarks for an official collaboration! The music connection doesn’t just end there. Through the 90s Britpop bands like Blur and Oasis brought about a revival of the Mod style and would usually be found rocking parkas and crepe soled Clarks. 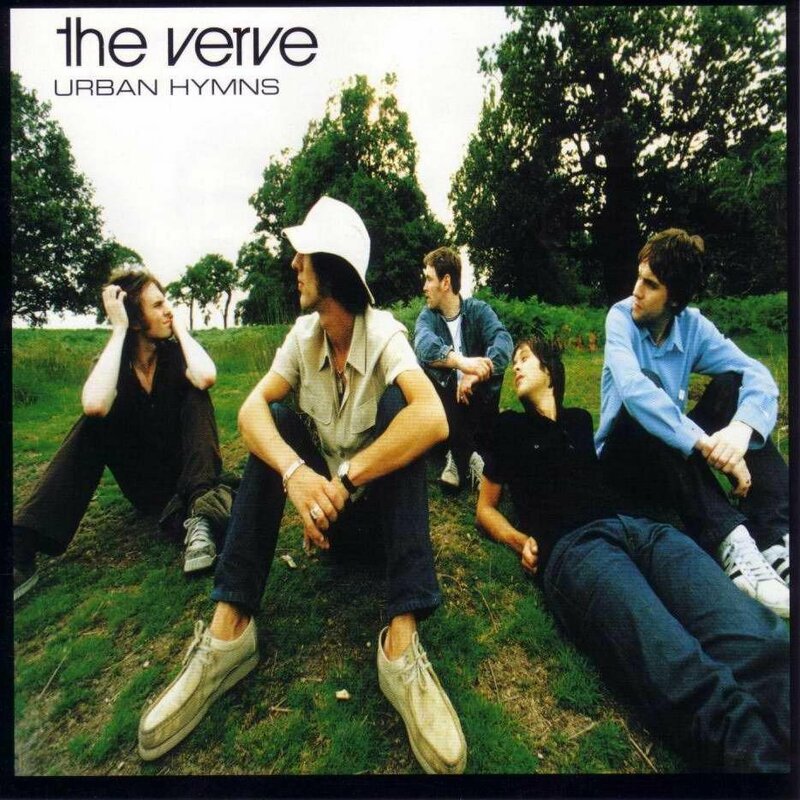 The Wallabee also made it onto the album cover of The Verve’s 1997 album, Urban Hymns. 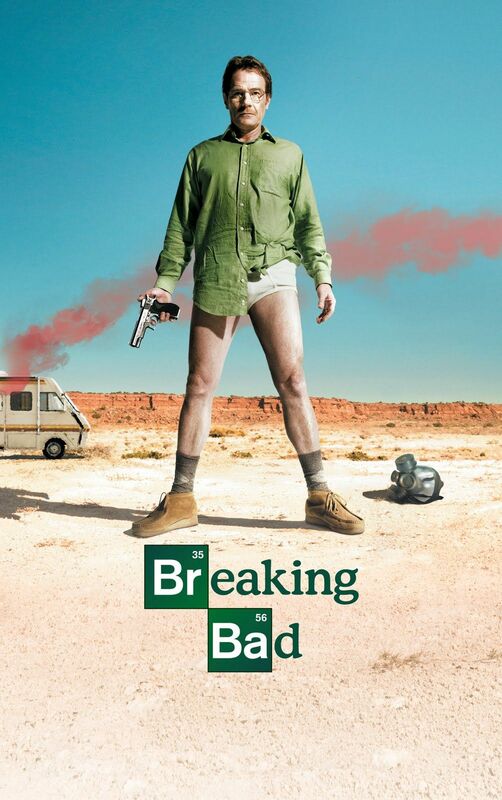 Chemistry teacher/Druglord Walter White from AMC’s Breaking Bad rocked Wallabees throughout the series. Interested now? In today’s hip-hop scene, Wallabees have been spotted on the feet of Kanye West, Kid Cudi, Drake, Pharrell and many more. 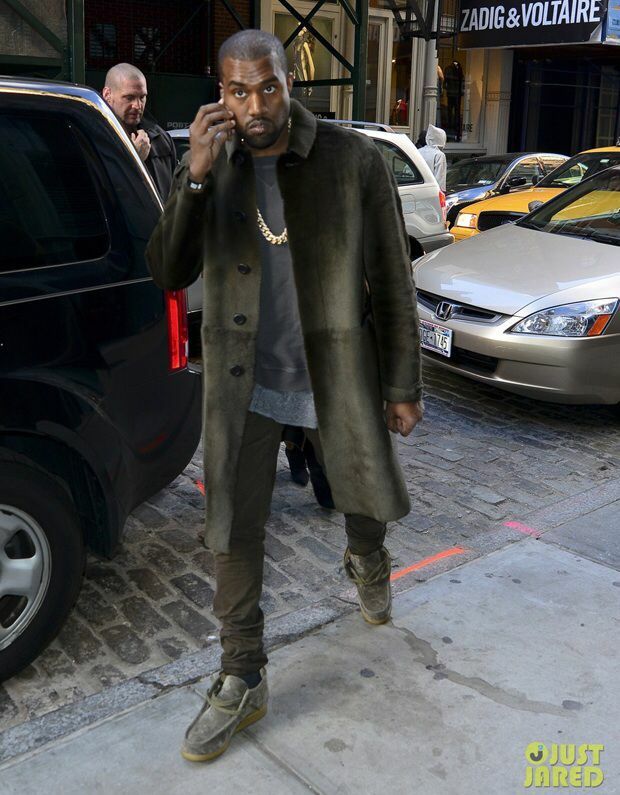 However seeing Kanye rock them makes me think of them as struggle visvim, a poor substitute for the FBT, something I need to work my way towards. Being a very simple silhouette, the Wallabee is very collab friendly and has seen all kinds of version including ones from Supreme, OVO, Woolrich, Stash and Uniform Experiment to name a few. Thanks to a simple two eyelet lacing system and wide mouth, getting in and out of these is a breeze. Wallabees look good with everything from jeans and trousers to cords and shorts but I think they look the best with indigo denim. The Clarks Wallabee is a no-nonsense boot that you wear anywhere with anything whether you are heading to the pub, explaining to bored teenagers how tectonic plates work or finishing up your next Soundcloud track! Wallabees come in all sorts of colors and materials but I just love the classic suede and cream crepe sole combo! An amazingly comfortable shoe that has remained largely unchanged and totally available for over 50 years now, the Clarks Wallabee goes by unnoticed in todays world of high fashion kicks but with the whole dad look coming back in, could be a worthy addition to your shoe rotation. Trust me, your feet will love you for them! 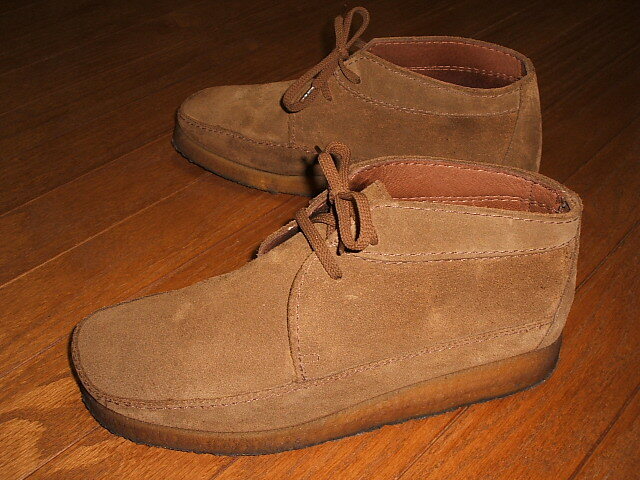 The Clarks Wallabee is available on Myntra.com.